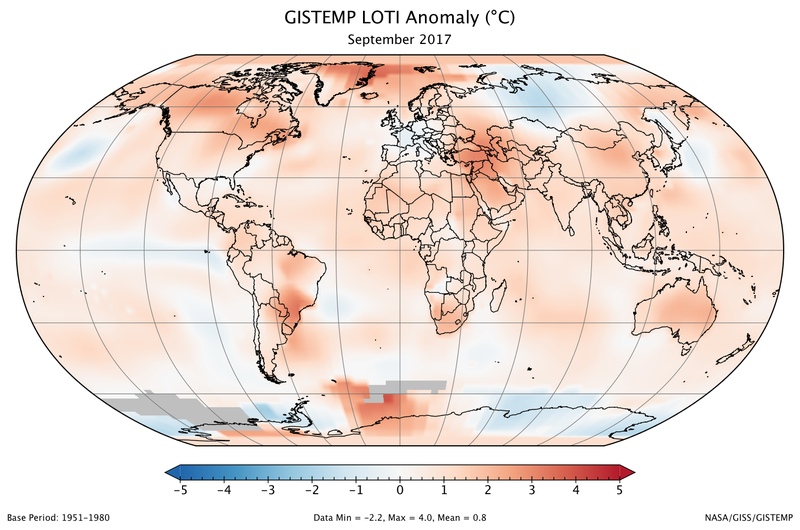 A global map of the September 2017 LOTI (land-ocean temperature index) anomaly, relative to the 1951-1980 September average. View larger image. 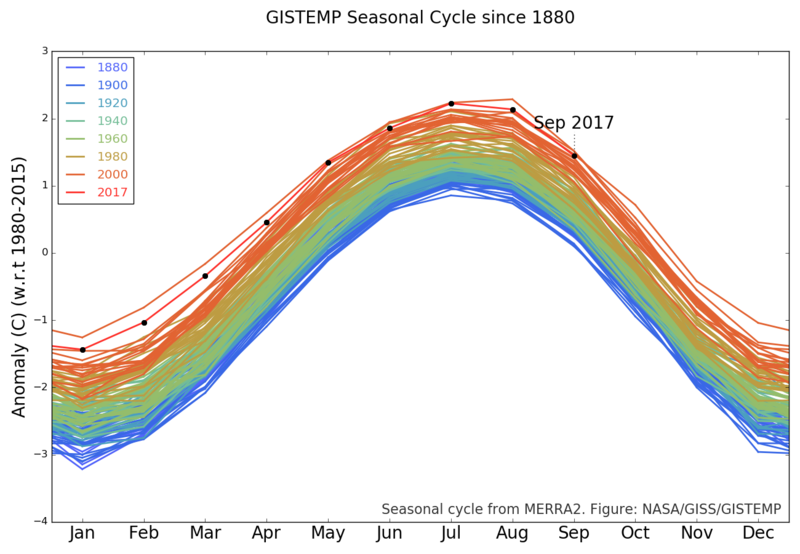 September 2017 was the fourth warmest September in 137 years of modern record-keeping, according to a monthly analysis of global temperatures by scientists at NASA's Goddard Institute for Space Studies (GISS) in New York. Last month was +0.80 degrees Celsius warmer than the mean September temperature from 1951-1980. The warmest months of September according to the analysis happened in 2016 and 2014 (+0.87 degrees Celsius) and 2015 (+0.82 degrees Celsius).